The Budos Band is the quintessence of Staten Island Soul. Their exciting new afro-influenced take on instrumental music has been captivating listeners at gigs across the Tri-State area. Eleven pieces in all, their group consists of drums, bass, guitar, electric organ, two trumpets, baritone saxophone, and a percussion section employing bongos, congas, tambourine, guiro, clave, shekere and cowbell. Their music has been described as "compelling", "unbridled", "psychedelic", "innovative", and above all "soulful." However, like many majestic things, their sound had humble beginnings. The core of the band met as youths while all participating in an after school jazz ensemble at the Richmond Ave. Community Center, in Staten Island, New York. It wasn't long before their common hunger for the rougher stripped down sounds of Soul Music brought them together for late night ferry rides into Manhattan, where they would sneak in the back door of the No Moore Club downtown to hear bands like Antibalas, the Sugarman Three, and Sharon Jones and the Dap-Kings. It was there, in that basement hothouse packed with the only the hippest James Brown fanatics and Fela Kuti disciples, where the kernels of instrumental Afro-Soul were first sown into the fertile minds of these talented young men. Kernels which would later germinate and grow into the roots of their strong unique sound. After meeting resistance from the band director about the direction they were trying to take the music, they left the Community Center to form Los Barbudos, (spanish for "the bearded ones") a name which was later trimmed to The BudosBand after one of the boys shaved. With the recruitment of a few horn players from the neighboring borough of Brooklyn, the band began to practice regularly, exploring the outer cosmic boundaries of afro-beat and soul music from the safety of their tiny concrete rehearsal space on Sand St. As they learned and grew together, their music matured, expanding and settling into a groove as deep and as broad as the Hudson Bay itself. By the time they had arranged a chance to play for a Daptone A&R man, their sound had hardened to a diamond. They were signed on the spot and scheduled to go into the studio immediately for a recording session where they would proceed to cut a full length album in the better part of three nights. Their debut, self-titled album on Daptone Records is hard evidence of their eruption onto today's Funk and Soul scene. The dramatic peels of brass and sax poured so liberally over sparsely orchestrated rhythm arrangements intone moods which are in one instant hopeful and sinister, urgent and nostalgic, buoyant and depthful beyond measure. The record opens with a lone prowling bass line that circles it's listener four times before the fierce calculating rhythms of the drums and percussion join in. It is not, of course, until the barks and howls of the horns join the fray when we are able to hear the full spectrum of the band's voice. The musicians claim the secret to their enormous sound is a selfless approach to rhythm: each man finding his own place and purpose in the greater landscape of the measure. 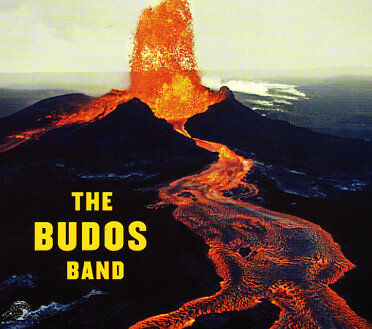 However, any observant listener can hear that it is something far more simple and rare that elevates their sound beyond the sphere of cognitive reason and into that far greater realm of pure feeling: The Budos Band have Soul, on the inside. And it's strong.